There’s the potential for $3.4 billion in energy savings lurking in the multi-family housing sector. That’s according to Engaging as Partners: Introducing Utilities to the Energy Efficiency Needs of Multifamily Buildings and Their Owners. 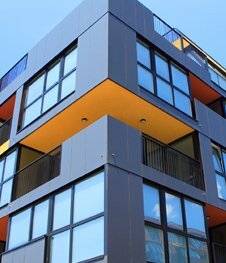 The study by the American Council for an Energy-Efficient Economy and CNT Energy identifies more than 18 million occupied apartments and condominiums in U.S. buildings with five units or more. Renters occupy 16 million such units. During 2009, these building owners and tenants spent nearly $22 billion on energy in 2009, an average of $1,141 per household. No matter how the multifamily sector figures into your business or personal life, whether you’re advising condo buyers or you sit on a condo board or work with investors who are buying multifamily properties, it pays to be informed about opportunities for boosting the efficiency of such buildings. Incentives. Utility companies and state energy programs can be your ally, since many offer incentives and services specifically targeted at multi-family properties.Among the programs are Puget Sound Energy, the New York State Energy Research & Development Authority, and Efficiency Maine. Search for incentives in your area at www.dsireusa.org. Skeptical residents? Anticipate resistance to change and be ready to support your energy savings assertions with data that explain the long-term advantages of green upgrades.See “Arm Yourself With Statistical Muscle” in this issue for studies and statistics that illustrate the widening demand for eco-friendly homes. Other less tangible advantages to point up are greater comfort and a potential marketing edge. For example, lower operating costs that lead to more stable or lower assessments and rents could be a selling point for buyers. Case studies. Look to real-world examples to strengthen your argument. There’s no shortage of case studies that illustrate the financial rewards of energy upgrades.Just one from the New York State Energy Research & Development Authority involves the 212-unit Trump Tower at City Center, in White Plains, N.Y. Investing in an array of upgrades allowed residents to slash energy consumption by 21% and generate total annual savings of $300,475. Make it simple. Make it easy for residents to adopt greener lifestyles and to make responsible choices. For instance, provide clearly labeled and accessible recycling and compost bins and convenient, secure bike storage.Explain the health benefits of responsibly disposing of chemicals, paints, electronics and unused prescription medicine, and offer a list of local recycling centers for such items. Health and wellness. Outline the health gains that everyone can realize by switching to less toxic cleaning, renovation, and maintenance products, such as low-VOC paint and chemical-free lawn care. Gateway projects. Start with a low-cost gateway project, such as installing new light bulbs or putting in energy efficient washers and dryers in the common laundry room. Tracking the savings from the switch can serve as a test-case and prove to decision-makers that green changes pay off.When it’s time for costlier projects, the success of smaller projects might make the sell a bit easier. Get audited. Commissioning an energy study that offers a top-to bottom assessment of a building’s performance can provide a comprehensive overview of a building’s trouble spots. The report also can give board members and owners a roadmap when they’re budgeting for and prioritizing projects.Some efficiency upgrades frequently made in multifamily buildings include insulating basement walls and roofs, sealing air leaks, swapping the existing boiler for a high-efficiency condensing boiler, insulating heating and hot water pipes, installing solar pool heaters, and opting for native landscaping.